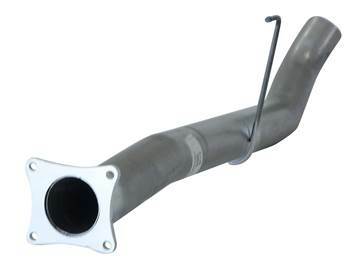 2018-2019 Ford 3.0L Powerstroke F-150 - FloPro's aluminized 4-inch Turbo Back Exhaust System is used in conjunction of the removal of the factory emissions system (Cat & DPF). Includes a 3-to-4" down pipe. 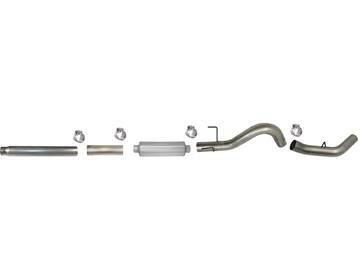 2018-2019 Ford 3.0L Powerstroke F-150 - NO MUFFLER KIT - FloPro's aluminized 4-inch Turbo Back Exhaust System is used in conjunction of the removal of the factory emissions system (Cat & DPF). Includes a 3-to-4" down pipe. Twister Mufflers are designed for the race track but fit for all drivers. Twister's incorporate a dual flow path which cancels noise while also creating a vacuum effect - accelerating the exhaust through the muffler. Aluminized Finish, Fits all 4" Exhaust Systems. Twister Mufflers are designed for the race track but fit for all drivers. Twister's incorporate a dual flow path which cancels noise while also creating a vacuum effect - accelerating the exhaust through the muffler. Stainless Steel Finish, Fits all 4" Exhaust Systems. Twister Mufflers are designed for the race track but fit for all drivers. Twister's incorporate a dual flow path which cancels noise while also creating a vacuum effect - accelerating the exhaust through the muffler. 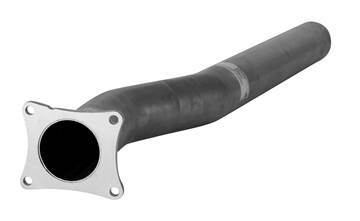 Aluminized Finish, Fits all 5" Exhaust Systems. Twister Mufflers are designed for the race track but fit for all drivers. Twister's incorporate a dual flow path which cancels noise while also creating a vacuum effect - accelerating the exhaust through the muffler. Stainless Steel Finish, Fits all 5" Exhaust Systems. Eliminate the problematic EGR valve and cooler with this high quality FloPro EGR Valve & Cooler Delete Kit for your 2007.5-2017 Dodge 6.7 Cummins 2500/3500 pickup. Race tuning required. 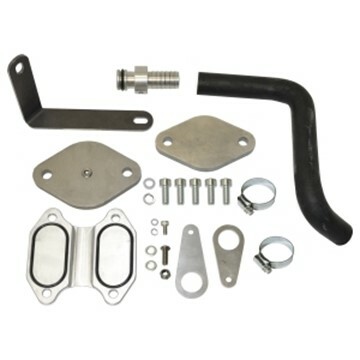 Eliminate the problematic EGR valve and cooler with this high quality FloPro EGR Valve & Cooler Delete Kit for your 2013-2017 Dodge Cummins 6.7L 4500/5500 Cummins Cab & Chassis diesel. Race tuning required. If you are looking to remove your EGR valve and cooler from your 2008-2010 Ford Powerstroke, then this stylish kit from FloPro is for you. Note that installation of the intake manifold requires special tuning that is not compatible with SCT Livewire, Mini Maxx or XRT Pro tuners. If you are looking to remove the EGR cooler but leave your EGR valve intact from your 2008-2010 Ford Powerstroke, then this stylish kit from FloPro is for you! 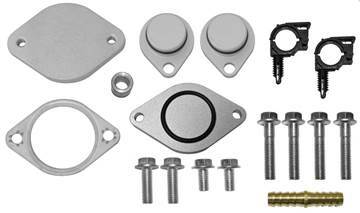 Looking for just the plates to block off the EGR on your 2011-2014 Ford 6.7L Powerstroke? Look no further. This will remove the EGR Cooler, manifold pipes, coolant lines, and all EGR related electronics from your truck. Comes with all necessary block off plates, plugs, clamps, etc. Fits your 2011-2014 Ford 6.7L Powerstroke - Uses stock pyro probe. Race tuning required.